View step-by-step training tutorials and in-depth videos to learn how our machines work. Take advantage of Postmatic’s refurbishment program. Send us your current Postmatic equipment in its present working or non-working state and we will refurbish your equipment to like new mechanical condition. We will inspect and offer a preliminary diagnosis and estimate for your approval. Don’t wait until your equipment stops working; send it in for a thorough preventive maintenance operation today. DOES THE STAMP AFFIXER ACCEPT 3,000 & 10,000 COIL STAMPS? Yes, will hold coils of 3,000 or 10,000. CAN I USE IT WITH A FLOWMASTER INSERTER? 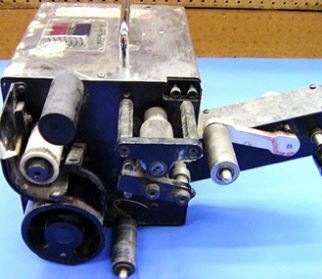 CAN I USE IT WITH A SWING-ARM INSERTER? Yes, Can be used inline with almost any transport configuration including Ink-Jets, CMC, WD Inserting systems and others. CAN I USE THIS EQUIPMENT ‘OFFLINE’ AS A “STAND ALONE SYSTEM”? Yes, it can be configured as a Table Top, Stand-Alone system. A Friction Feeder and an output catch tray or conveyor will be required all of which can be purchased from Postmatic. WILL THIS SEAL MY ENVELOPES? No, the ISB will not seal envelopes. 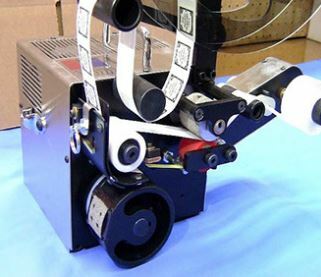 We offer the EFSPro Envelope Feeder/Sealer as an input that will feed and seal envelopes. WHAT SIZE ARE THEY / HOW MUCH ROOM? Our equipment is designed in a compact manner to save valuable production space and offer easy integration into existing mailroom configurations. DOES IT COME WITH A TABLE? No. We offer a heavy-duty, adjustable stand built exclusively to accommodate our bases or a standard meter base stand will work.